“What, then, O, brethren, is required of us in order that we might avail ourselves of all the grace brought unto us from on high by the coming to earth of the Son of God? What is necessary, first of all, is faith in the Son of God, in the Gospel as the salvation-bestowing heavenly teaching; a true repentance of sins and the correction of life and of heart; communion in prayer and in the mysteries [sacraments]; the knowledge and fulfillment of Christ’s commandments. Also necessary are the virtues: Christian humility, alms-giving, continence, purity and chastity, simplicity and goodness of heart. 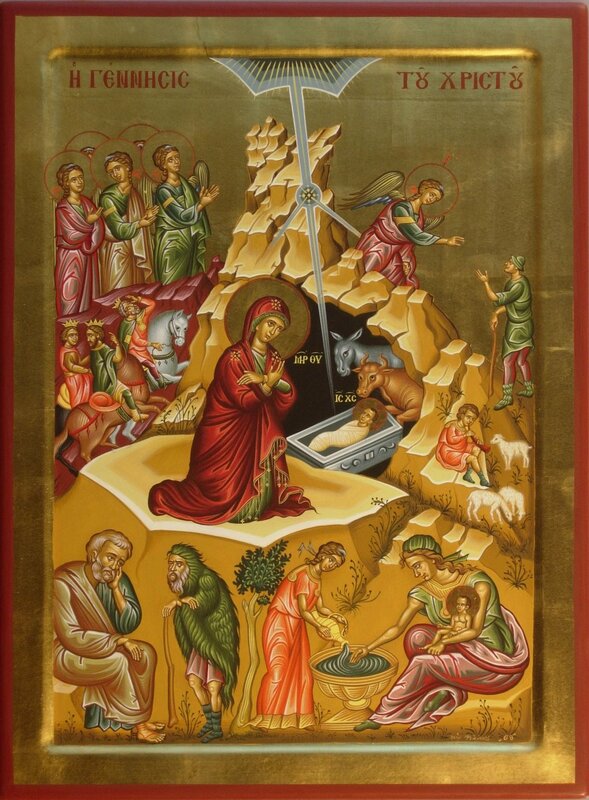 This entry was posted in Sayings from Saints, Elders, and Fathers, St. John of Kronstadt and tagged Alms, Chastity, Commandments, Continence, Crucifixion, Eucharist, Faith, Faith in God, God as King, God as Man, Gold Frankincense and Myrrh, Goodness, Humility, Incarnation, Magi/Three Wise Men, Nativity of Jesus (Christmas), Prayer, Purity, Repentance, Requirements of God, Sacraments, Sacrifice, Salvation, Simplicity, Virt on January 7, 2015 by .